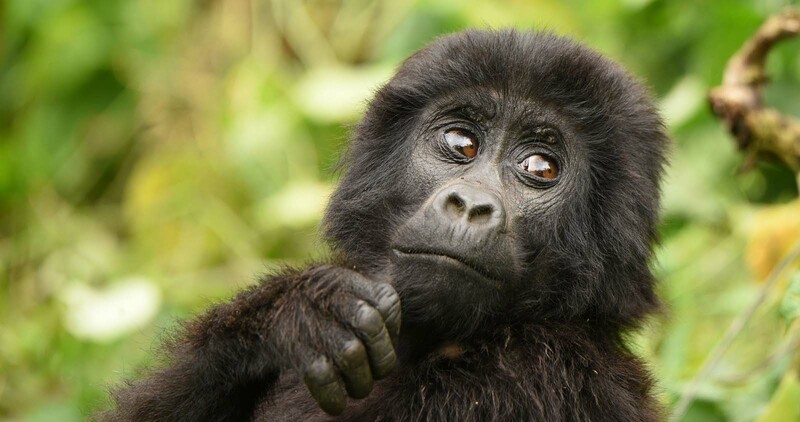 The 1 day Rwanda gorilla trekking tour is recommended for visitors already in Rwanda but have little time to spend on the gorilla trekking safari. 4:30 am: Pickup from your hotel. 8:30am: Trekking escorted by tour guide. Very early in the morning, our Gorilla Uganda Safari guide will pick you up from your hotel for a 2 hour (from 4:30 am) transfer to Musanze province where Volcanoes National Park is located. Upon arrival, you will have your breakfast before proceeding to the Volcanoes National Park headquarters in Kiningi for routine briefing by the park warden about the gorilla trekking rules. After being assigned a gorilla family to trek, you will depart to the starting point of the trek by 8:30am escorted by your tour guide. You will spend between 1-8 hours on the trek depending on the movements of the Gorillas in the forest. Upon meeting the Gorillas, you will spend 1 hour looking at them and taking photos after which you will return to the vehicle. Your driver will the transfer you back to Kigali international airport for your scheduled flight or drop you off at your hotel.